How awesome is that photo? Looks photoshopped, it’s so amazing. 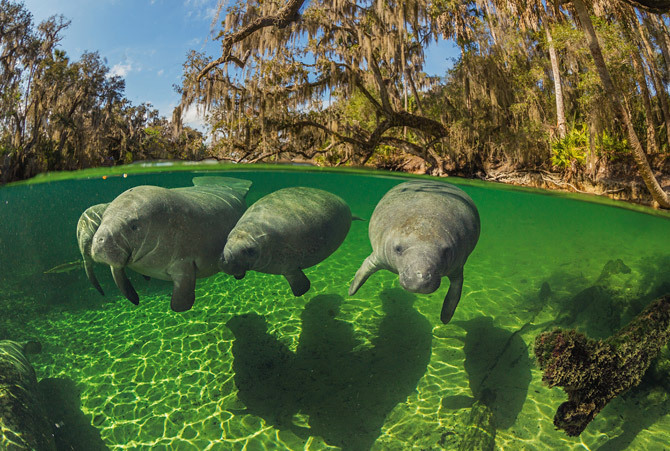 The photographer’s name is Paul Nicklen, and you can see a bunch of his manatee photos at National Geo, an article about the manatees and people co-existing in Florida. Some rad/sad photos there. 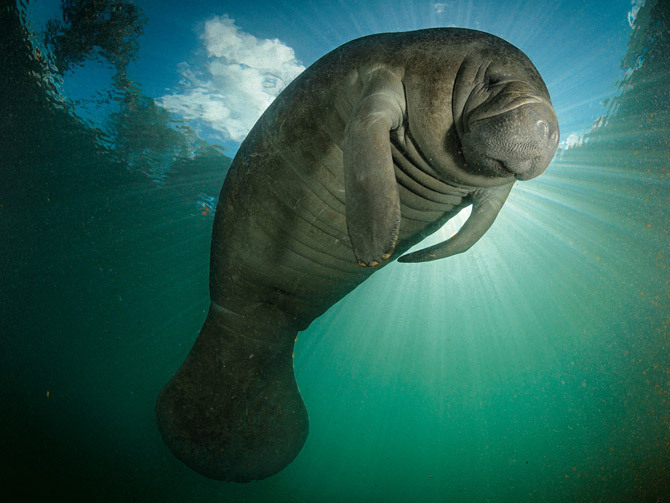 I know I can’t really have a manatee for a pet, but I want to at least hug one.